The Liberals had a different tack after they won the 2001general election. That election blatantly illustrated the unfair results that a first-past-the-post voting system can deliver in multi-party democracies. The Liberals, with 57% of the popular vote, elected 77 MLAs, a whooping 97.5% of the seats in the legislature. The NDP, with 21.5% of the vote, won just two seats (Joy MacPhail and Jenny Kwan). The upstart Green Party, with 12.4% of the popular vote, got no seats, no representation and no chance to present its ideas in the legislature for debate. Nearly everyone, including Campbell, realized election results like that aren’t good for democracy and so he created the Citizens’ Assembly On Electoral Reform to come up with a fairer voting system to put to the electorate for a vote. Unfortunately, the Citizen’s Assembly did not deliver an alternative that voters supported. Under the tutelage of two political scientists who were experts in a system called Single Transferable Vote (STV), a system used only in Malta, Ireland and certain jurisdictions in Australia, the Assembly voted to adopt STV and worked to craft a tailor-made version suitable for BC. STV systems are inherently complicated. They are characterized by multi-member ridings, with voters ranking their candidate preferences and a ballot tallying system that redistributes an elector’s votes when their more preferred choices meet defeat. Computers are used to determine who is elected in a timely way. BC’s 2005 provincial election included the first “Yes” or “No” referendum question on STV: “Should British Columbia change to the BC-STV electoral system as recommended by the Citizens’ Assembly on Electoral Reform?” 57.7% of the voters said yes, but unfortunately it wasn’t enough to overcome the 60% super majority passage imposed by the BC Liberal government at the onset of the Assembly. The voters at the time truly did support the Citizens Assembly. It was an innovative and exciting process involving people just like them. But there was no way they could have understood the system they voted “yes” for. There were no details. The made-in-BC STV system had not yet been designed. To their credit, the Liberal government gave BC voters another chance to adopt the STV system in the 2009 provincial election. Between the two elections, the made-in-BC STV system was developed and a map of the proposed new ridings was circulated. In the 2009 STV referendum, voter support plummeted. Why? Most political pundits figure it was because the devil was in the details. It was a complicated system. Electoral districts had varied numbers of MLAs. Some had seven; others (in the north) only two. Voter choice and the chance for representation varied as to where a person lived, which some perceived as not entirely fair. Some BC voters did not like the idea of ranking a long list of candidates. Some didn’t understand how voters got “transferred” and didn’t like having to trust a computer to tell them the results. This time, voters soundly rejected the Citizens Assembly’s recommendation. Only 39% voted for BC STV. But the rejection of STV did not necessarily mean voters didn’t support electoral reform and a fairer voting system for BC. What the Citizens of the Assembly proposed and what BC voters wanted were at odds. This was even known by some Assembly members before they decided on STV. Prior to choosing which electoral system to propose for BC, the Citizen’s Assembly had narrowed their options to STV and one other proportional representation system: Mixed Member Prepositional (MMP). Used in Germany and New Zealand, MMP systems give voters two votes: one for a local representative for their riding, just as we do today in BC and a second vote for their party of choice. After the votes are tallied, if a party does not get its fair share of seats through the vote for local representatives, the party’s seats are “topped up” so the percentage of the popular vote that a party gets equals its share of seats. The method to “top up” seats varies. It is most commonly from a ranked list of candidates provided by each party, but it could be based on the top “vote-getters” that didn’t get elected from each party. Interestingly, one of the Assembly members independently went out on the street to test sample ballots representing the two different voting systems. He found that people overwhelmingly liked the MMP ballot better. When the Citizen’s Assembly held meetings in 50 communities around the province seeking public input on a new voting system for BC, more than 80% of all those who showed up expressed their preference for a MMP system. In the light of this, why did the Citizens Assembly choose STV? One of the professors assured Assembly members they could decide independently of public input because they themselves were a random sample representation of the whole province. He also implied they could ignore much of the public input because it was “politically” initiated. Although Adriane Carr, then Leader of the BC Green Party, in the year prior to Campbell establishing the Citizen’s Assembly, had previously personally sponsored an Initiative under the BC Recall and Initiative Act to hold a referendum on whether or not to adopt an MMP system, it was apolitical. Her Initiative garnered almost 100,000 signatures, not enough to be a success, but enough to widely educate the public. I believe that what BC voters want and will readily adopt is a simple, easy-to-understand, inexpensive-to-implement and familiar-way-to-count-vote electoral system where a party’s percentage of popular vote translates into the same percentage of seats in the legislature and the vast majority of electors’ votes end up actually electing MLAs to the BC legislature – a made-in-BC MMP system. I’ve improved on the system originally proposed by Adriane Carr (now a Vancouver City Councilor) in her Citizen’s Initiative, making it simpler and removing some elements, like a party “top-up” list, that were controversial in her 2002 Initiative bid. Electoral Districts (ridings) stay the same – in number and geography – as they are today. No need for redistribution. Voting for MLAs to represent electoral districts is carried out exactly as it is done today through the familiar first-past-the-post system. A second vote for “Which BC political party do you support?” is made from a list of registered BC political parties printed on the ballot. 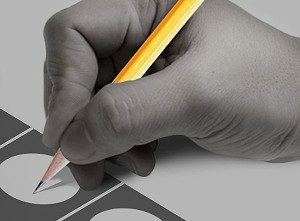 This vote is counted province-wide to determine each political party’s popular support. To be eligible to have representation in the legislature, a party must exceed a threshold of 5% of the popular vote. This is the same as in New Zealand and Germany. Up to 15 extra MLAs are added to the legislature to achieve as close as possible a fair proportional representation for those parties that exceed the 5% threshold of support required, but elect less than their fair share of MLAs based on their party’s percentage of popular vote. The 15 “top up” MLAs (or less) as needed to most fairly adjust to achieve proportionality are selected from that party’s unsuccessful candidates in that provincial election ranked by the candidates’ vote, from highest vote to lowest. (Note: many candidates who don’t win achieve a very near-to-winning vote in an electoral district.) This is the system used in the German State of Baden–Württemberg. While having only 15 extra MLAs – easier to accommodate in BC’s current legislature chambers – will not always result in a fully proportional Legislature, almost all the time it will. I can only think of one election that was so skewed, that 15 extra MLAs wouldn’t be enough to correct the imbalance and that was the 2001 election, which started the whole process of considering a Proportional Representation voting system for BC.